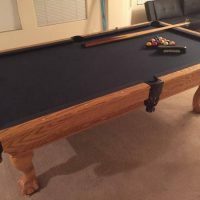 Connelly Slate Pool Table, New Felt, Pool Balls, Sticks, Cover and all accessories included. Excellent Condition. Pick up only.